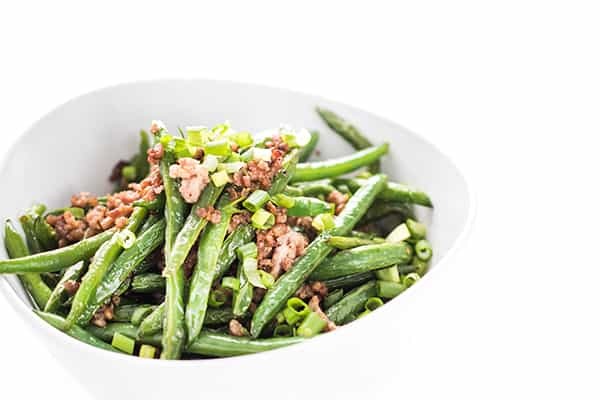 Bursting with flavor, these garlic green beans are a healthy version of the Chinese take out favorite. Ready in 20 minutes! 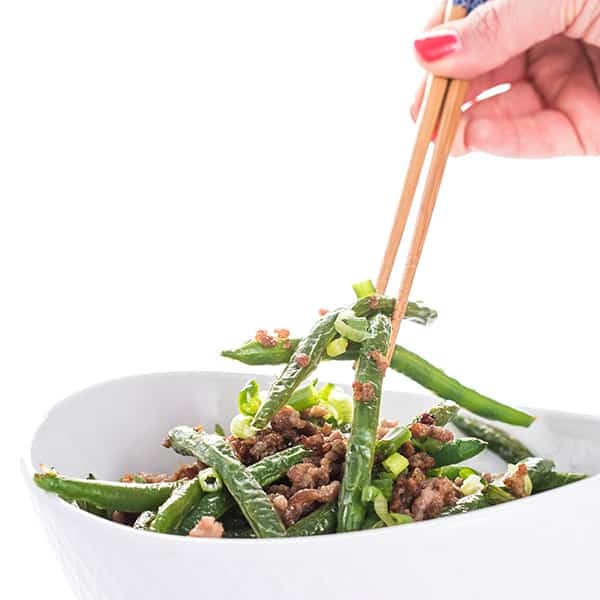 One of the biggest misconceptions about Chinese cooking is that the food is always deep friend and loaded in sugar, fat and calories. In my experience dining in authentic Chinese restaurants my entire life, nothing could be further from the truth. 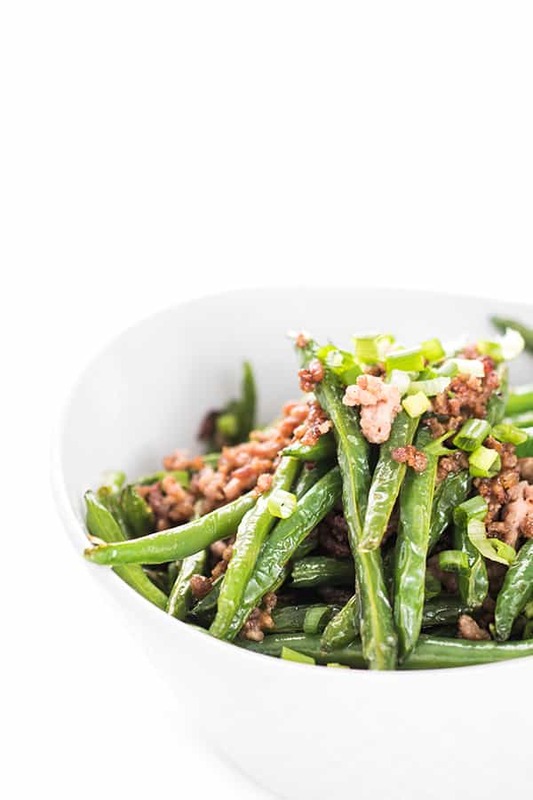 Like many ethnic cuisines, Chinese cooking is often very heavy on the vegetables and light on the meat. 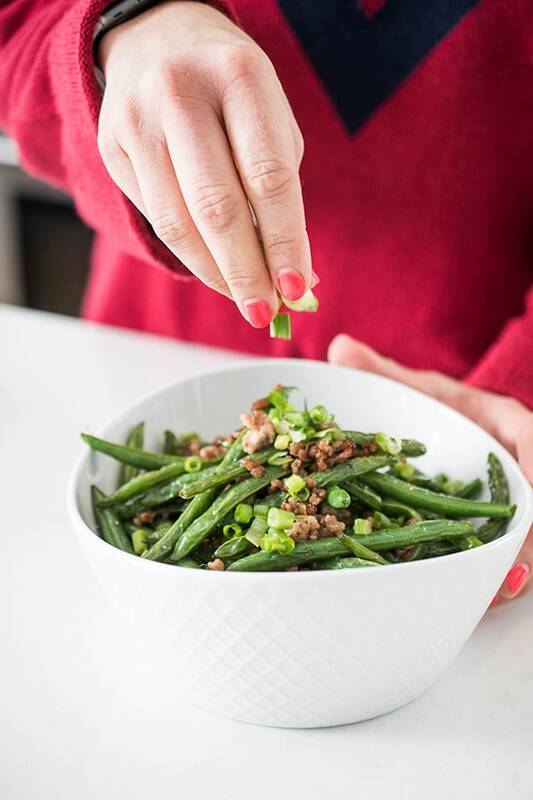 Unlike the traditional American diet where half the plate is meat and half is potatoes, Chinese cooking has mastered the art of using a small amount of high flavor meat (such as ground pork) to season a giant platter of vegetables such as Chinese broccoli, bok choy or green beans. Here’s the deal, friends. 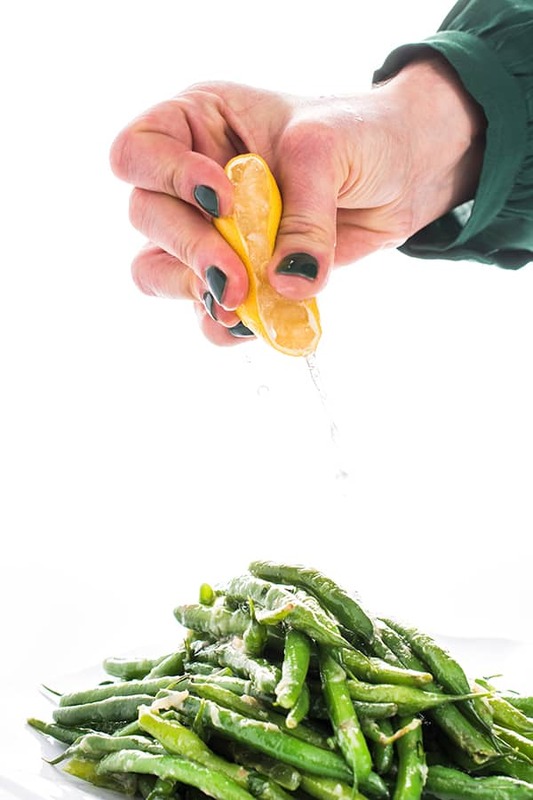 If you don’t add flavor to your veggies, your kids aren’t going to eat them. 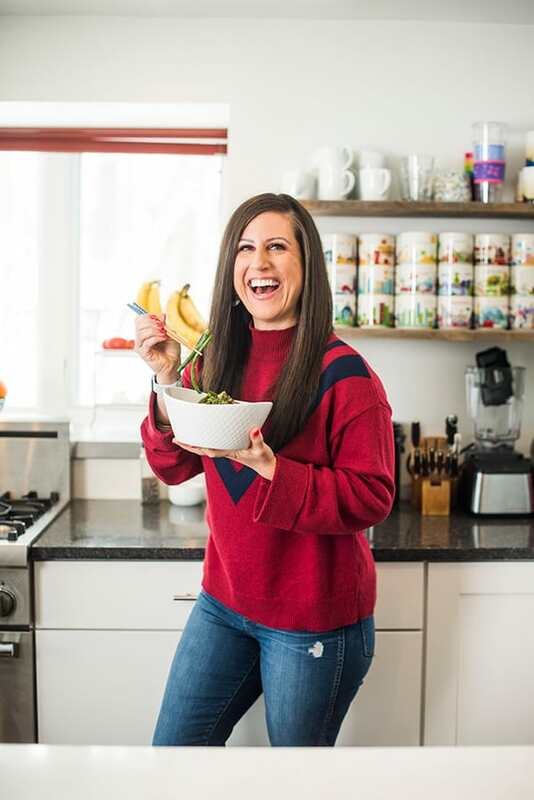 And guess who else won’t want to eat them? The adults trying to achieve weight loss goals! My secret? Keeping a well stocked Asian pantry full of high flavor ingredients such as sesame oil, rice vinegar, chili garlic paste and more. 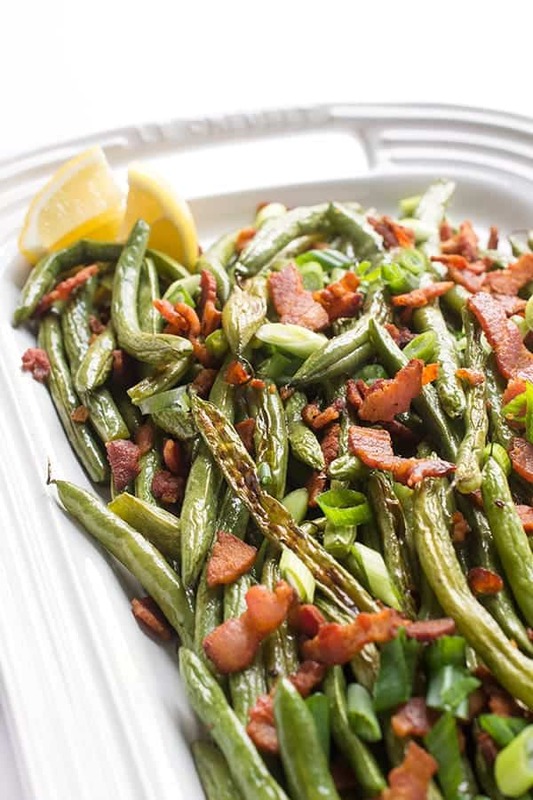 My Chinese Style Garlic Green Beans are ready in just 15 minutes and completely transform a typically blah side dish into something you’d normally only see in a restaurant. Try making them at home and see how much everyone enjoys them! 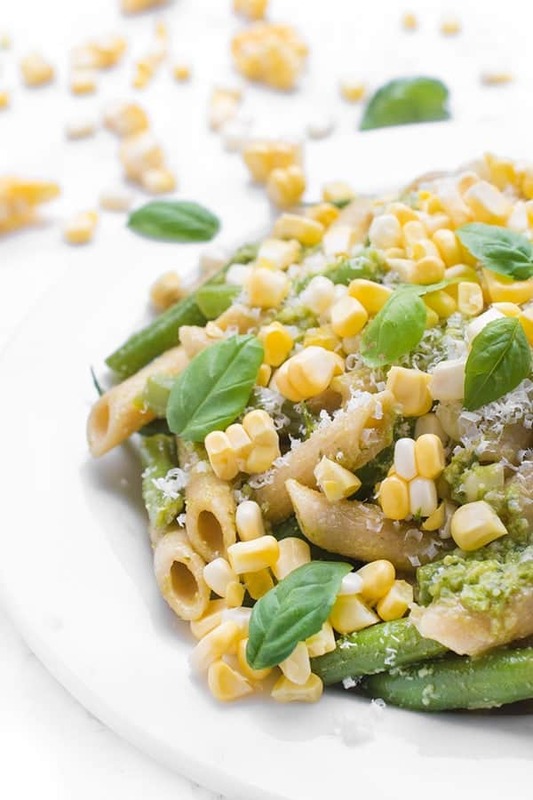 This recipe will work well with any type of green veggie including asparagus, broccoli, bok choy and more. Your chop sticks are waiting. Heat canola oil in a large wok or deep skillet over high heat until it starts to shimmer, about 30 seconds. 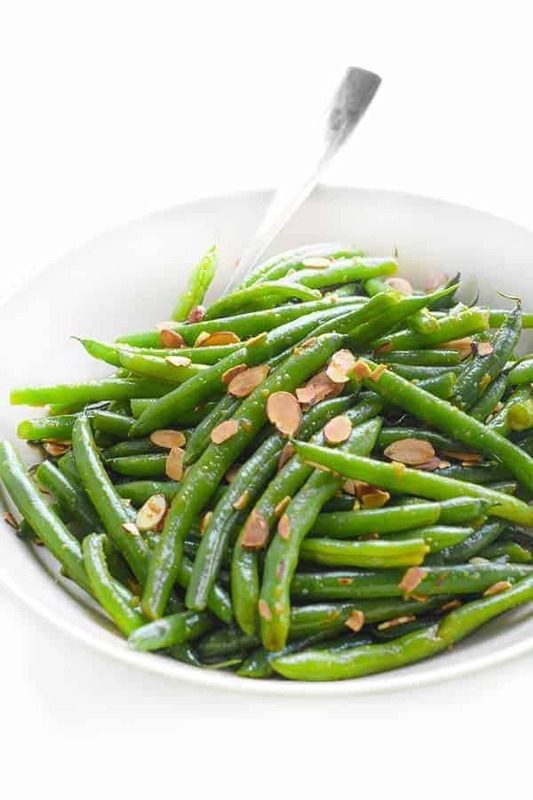 Add green beans to the pan and pan-fry in the oil for 4-5 minutes, stirring frequently, until they start to blister and pop. 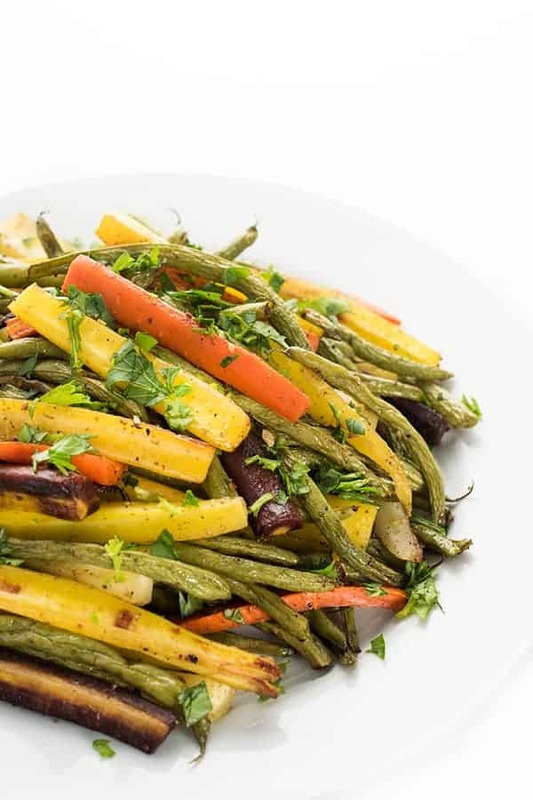 Remove from pan and place on a plate lined with paper towel. Add the ground pork to the same hot pan and begin breaking down using a wooden spoon. Stir in garlic, ginger, salt and chile garlic paste to the pork and continue cooking until pork is golden brown and cooked through, about 5-6 minutes. 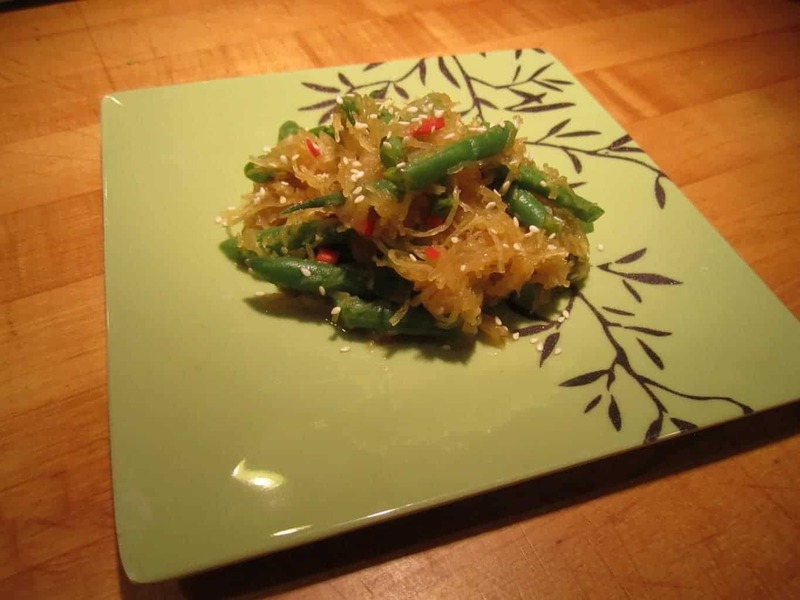 Return the cooked green beans to the pan and stir in the soy sauce, rice vinegar and sugar. Cook for 2 additional minutes then garnish with scallions before serving.